Matchroom Multi Sport can announce that RASSON BILLIARDS of Jiujiang City, China have inked a new three-year agreement that sees them continue their outstanding work as Official Table Supplier for Matchroom Pool’s prestigious international events. Rasson first started working with Matchroom Pool in 2016 and over the following three years, their Victory II table has garnered acclaim around the world for its quality, playability and stylish good looks. 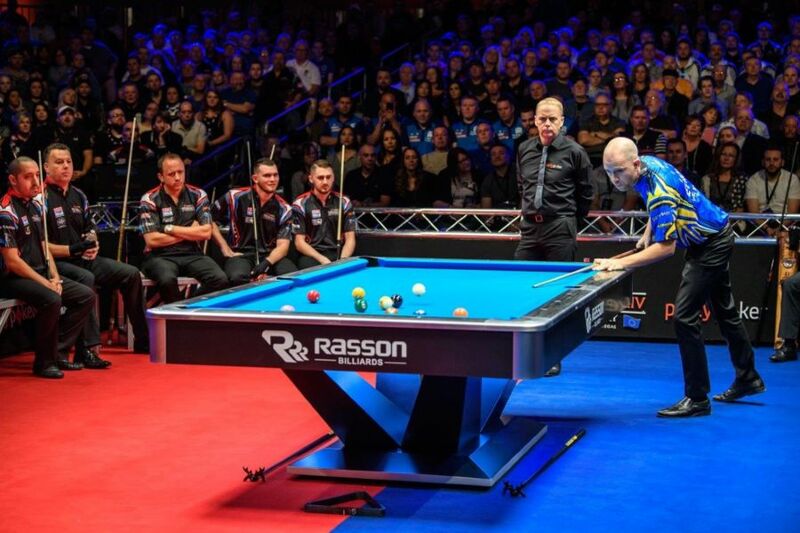 With the World Pool Masters set for Gibraltar in March, and the partypoker Mosconi Cup returning to Mandalay Bay Resort, Las Vegas in December 2019, Rasson’s tables will continue to be seen on pool’s global stage over the next three years. Commented Junny Song, General Manager of RASSON BILLIARDS, “We’re delighted to renew the contract with Matchroom. We’re so happy for the cooperation in past three years which was a great success! “Matchroom did fantastic job on holding all the events and they bring the sport to a new level. Matchroom are synonymous with top-quality events, more and more people all over the world know Rasson and Rasson products through Matchroom events. They’ll know eventually that Rasson is also a synonym for top-quality products. “It’s our belief to build truly great billiard products that combine both a unique look and top quality. Emily Frazer, COO of Matchroom Multi Sport said, “We are delighted to be continuing our relationship with RASSON across our Matchroom Pool events. Their Victory II table has proven a huge success and we are very much looking forward to building our relationship in the future. Copyright © 2019 Matchroom Sport Ltd. All rights reserved.